I'm Birdy27 and I'm so happy spring is here! 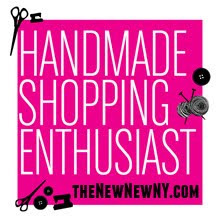 Although the weather isn't consistently springlike, this month's "A Crafty Life" in-depth interview with Stephanie Maslow of Metalicious (and Metalicious on Etsy) will help you forget about the temperature. I connected with Stephanie through the Etsy NY team almost two years ago and I've been a huge fan ever since. She marries the modern with subtle traces of the traditional and creates distinct pieces that are unique and memorable. 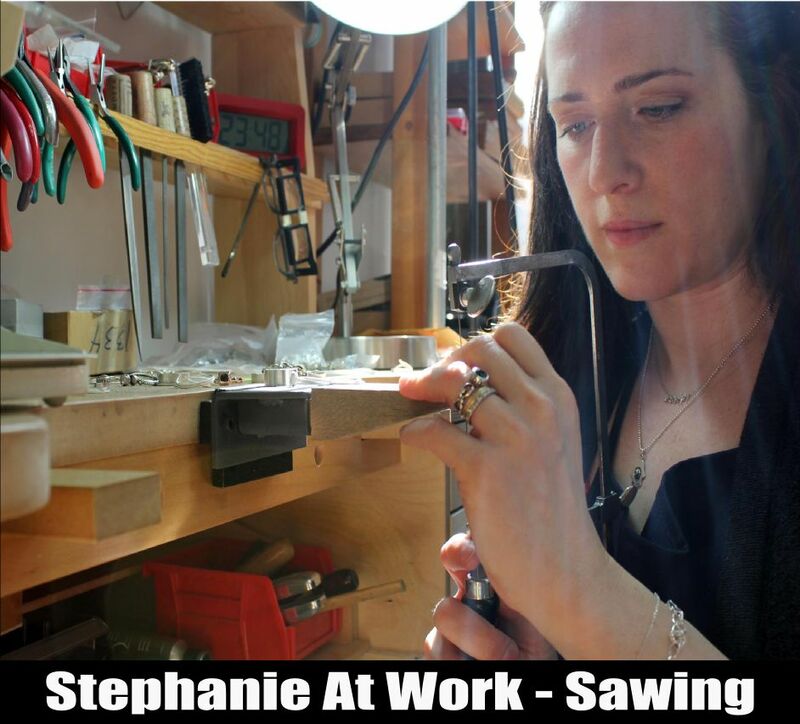 Originally born in Byram, New Jersey, Stephanie is industrious, focused, and innovative. She is just as accessible as she is lovely and I've been waiting for the chance to talk to her about her process, her designs, and so much more. I couldn't be happier that she agreed to be this month's interviewee. I moved to New York City after college in the '90s when there were still drive-by shootings where I lived in the West Village. Drive-by shootings in the West Village? I didn't realize it was so dangerous in the Village back then. Yep, but it was mostly awesome living in a part of the city where the buildings are low enough for you to see the sky. I lived in a 4th floor walk up as big as a shoebox. I loved it. I'm sure a lot of our readers can identify with the shoebox-sized apartment. Sounds like you were determined to make New York your home no matter what. I came here because everyone is accepted no matter who you believe in, what color you are or who you love. It's home and I'm proud to be raising my two boys here. I have a 3- and an 8-year-old. It's normal for us to see Barbara Corcoran, a drag queen and a mowhawk-wearing-punk on our walk to school. And we've been monitoring the progress of the Freedom Tower. While the boys don't know all the specifics of 9-11, they understand that it's a really important skyscraper to me. Living in New York City certainly enriches one's life in so many ways. You mentioned attending college. What is your educational background? I have a dual degree from Syracuse: English and Textual Studies, and Television, Radio and Film Production. Two of the longest named majors ever. Yeah! I'm thankful for the experience of college. Well, it turns out that Syracuse has an amazing Metals program! But I had no clue back then it would become my life's work. I guess I wasn't ready for it at the time. Wow! Timing is indeed everything. "Metalicious" is great name. Can you tell us how you knew this was THE name for you? It's funny because once in a while I get people who think I chose the name because I was really into '80s heavy metal music. The truth is that I love to play with words and was trying to find a company name that expresses how I feel about jewelry and metalworking. Delicious. Metal. It reminds me of the "licious" craze that started around the time of "Bootylicious" by Destiny's Child. It's perfect. When and how did you decide to become a silversmith? What was the process? It was a complete accident. About 15 years ago I had a job working in TV and hated it. I wanted to work with my hands and needed a creative outlet and thought it was going to be ceramics. But that class was full and the only one they had left was "Intro to Jewelry." As soon as I sawed out my name from a sheet of copper, I was hooked. Tools are awesome. Being able to make something with my hands that came from my head and my heart was so fulfilling. For a few years I took a class after work at the local YWCA and made jewelry in every ounce of spare time I had. It was the only thing that made me forget about everything else, even eating. I'm Italian and nothing stops me from eating, so I knew I was onto something. This is yet another story of the universe working to fulfill your dreams, even dreams you didn't know you had. Well, thank goodness for us that ceramics class WAS full. What happened next? From there I changed careers, got out of TV, and went to work for a small designer helping her with the business side of jewelry. Then I went to work for a mass jewelry manufacturer where I worked my way up until I was in charge of merchandising one of their diamond jewelry lines. A few times a year they sent me to India, Thailand, and Hong Kong to work with the overseas factories, designers and model makers. It was an incredible experience involving a lot of hard work and long hours, but I loved it. Then I had kids and decided to stay home with them, so the travel and career had to go. I started Metalicious as a side project to keep me sane, knowing that I would grow it once the kids went to school. Over the past 7 years I've shaped my business to be flexible and I'm incredibly thankful to have customers who are so supportive and wonderful to work with. They make me love what I do. It takes a lot of courage to go against the grain and build something for yourself. You knew you HAD to leave television. You knew you HAD to make jewelry. You could have continued in an unfulfilling job for security's sake, but you did what you felt was right for you and never looked back. That was very courageous. Earlier I identified you as a silversmith. Was I correct? I was taught that a silversmith is someone who uses a hammer and sheet metal to forge and raise cups, bowls, silverware, etc. so I'm not sure that's the right term for me. I am able to "smith" as a technique, but I don't really fit the silversmith profile. I've always struggled with what to call myself. I didn't have any formal education in jewelry; I'm kind of a hack. So I just call myself a jeweler. 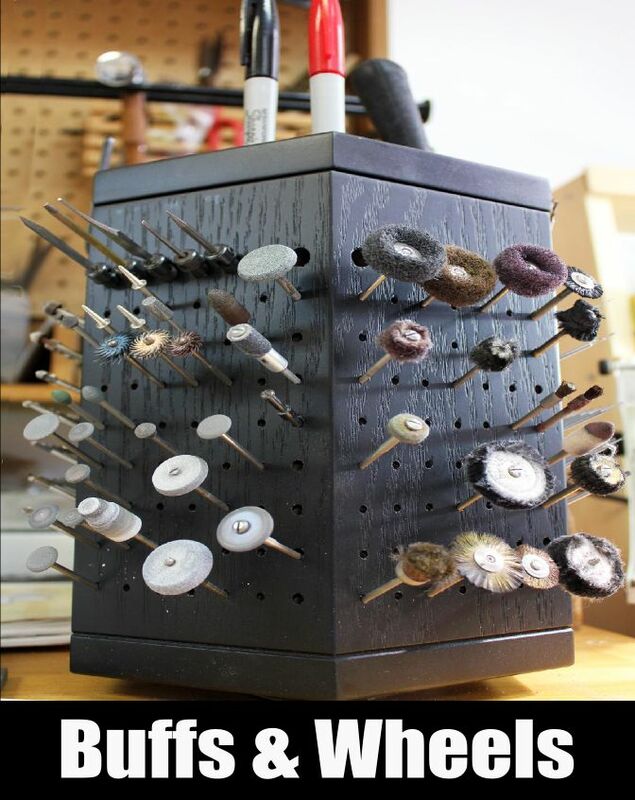 I see what trained goldsmiths create who have been working as jewelers for 20 years and it brings tears to my eyes. It's so beautiful. I saw a Lalique exhibit years ago and literally was weeping looking at the brooches his team created (in addition to the beautiful glass work). I don't yet have the exquisite attention to detail that, to me, denotes a true goldsmith. So I'm a jeweler. Ok, I've got it. Working with metals must be very labor intensive. Can you walk us through what you do for one design? Do you make your own molds? How long does it take to finish a typical piece? I hand build all my models using fabrication and wax carving/lathing techniques. I don't use pre-made components in my work; it's all originally made with my own two hands. Then I have a mold made and have it cast into metal. I choose casting because there are certain things you can do in wax that you can't do in metal and vice versa. Casting also allows me to change the metal type with each order so I can customize my ring as needed. From there I get the raw metal casting. A new design can take anywhere from 5-40 hours of work to create. Then it takes a few hours of work to clean, set, and give each piece a final polish. I love the process and it works for me, but you'll find each jeweler has their own way of doing things. No one way is any better than another; the process is unique to the individual. Fascinating! I was a very dramatic child who was always singing and dancing, so a creative path was pretty predictable. What about you? Would anyone have predicted you'd become a jeweler? No. Honestly, I never wore a lot of fine jewelry. As a kid, I loved making mud pies, but I also loved figuring out how electronics worked. I was weird and nerdy (newsflash: I still am), but I was never very good at art. I always loved working with my hands and what resonates with me is that jewelry combines science with art and that I can use both sides of my brain to create meaningful work. I play with fire, carve wax, and use machines and hand tools every day. I love my job. My favorite part of making jewelry is when I work with someone to make a piece of jewelry as a symbol of a major event in their life. 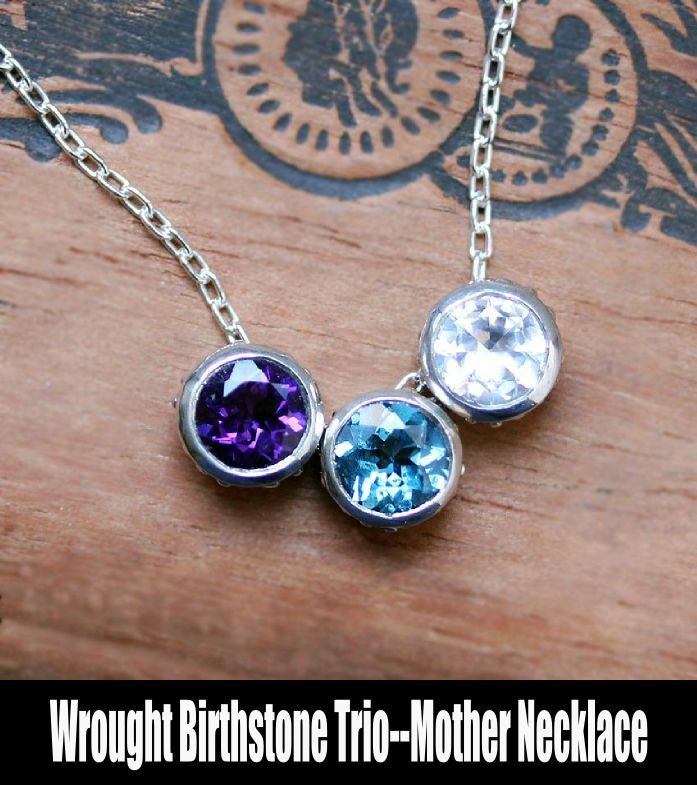 Moms have bought my Wrought birthstone necklace in the various birthstones of their babies. 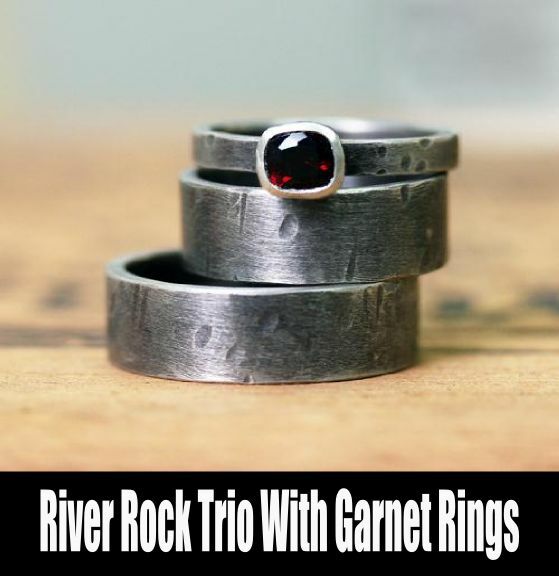 Men buy my Modern Rock ring to propose to their girlfriends. When customers write to me about such important milestones, I'm humbled and incredibly thankful. Making jewelry isn't saving lives or changing the world, but it's nice to know that my work is bringing a little bit of happiness or specialness to others. Well, you are changing the customer's life in a way. As you mentioned, people use jewelry to create memories and to commemorate births and deaths. Receiving a treasured piece from a loved one can honor and/or cement a relationship. Life changing for sure. I assume you make prototypes. What do you do with them if they don't cut the mustard? It took me a long time to learn to let them go. Like, 12 years. I used to work on a piece over and over and then it would come out looking forced. My best friend, Madelynn, of the Etsy shop One Garnet Girl, taught me that it's okay to let something go if it's not working. She's incredibly talented, successful, and smart. So now, if it doesn't work, I scrap it or melt it down. It's incredibly freeing to not be tied to the money and time I've put into something, once I recognized that the time I'm saving by letting it go and moving on is way more valuable. Because if I don't love it, my customers won't love it either. Yes, I feel exactly the same way when I'm designing: if I love it, someone else will love it, too. 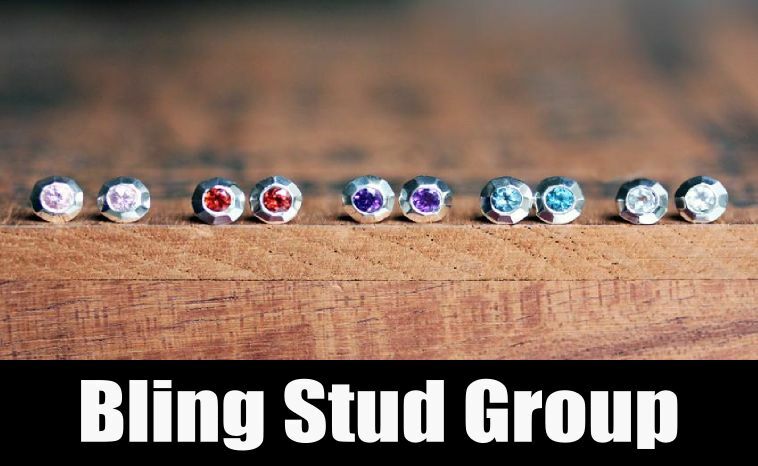 For those of us who are new to metal work, can you tell us a little about the metals you use? have porosity in castings. I can't figure out where to sprue a piece to get the metal to flow correctly. The fun part is experimenting, and sometimes coming up with new ways to do things. You learn from each success, but you learn more from each mistake. I don't know who said that, but it's this nerd's mantra. 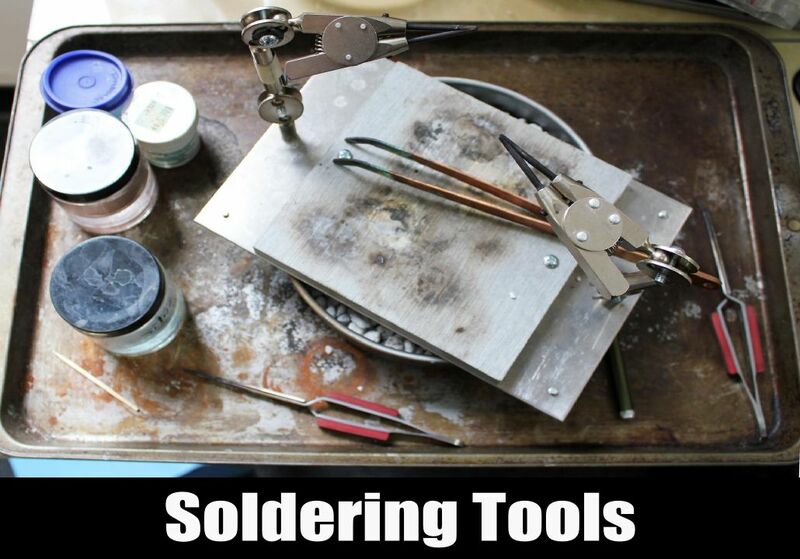 You mentioned soldering. I'm intrigued by it, but it's looks dangerous. Is it? Is it something you like to do? Yes, it's dangerous if you don't know what you're doing. I still sweat sometimes when I'm soldering something tricky, but not because I'm afraid I'll blow up. It's more out of fear that I'll melt a gold ring. Do I love it? I love soldering when soldering loves me back. But on the days when the torch and I aren't getting along... ugh. Oh, I know what you mean! People always say that knitting and crocheting are relaxing, but they are very stressful if you make a mistake or things aren't going your way. I love the way you use gemstones. What is your fave? I love faceted gemstones. Like an addict. Similar to metal, each gemstone has different properties. My main concern is hardness (hello, MOHS Scale of Hardness). The hardness of a stone will dictate whether I use it in a ring, a necklace or earrings. 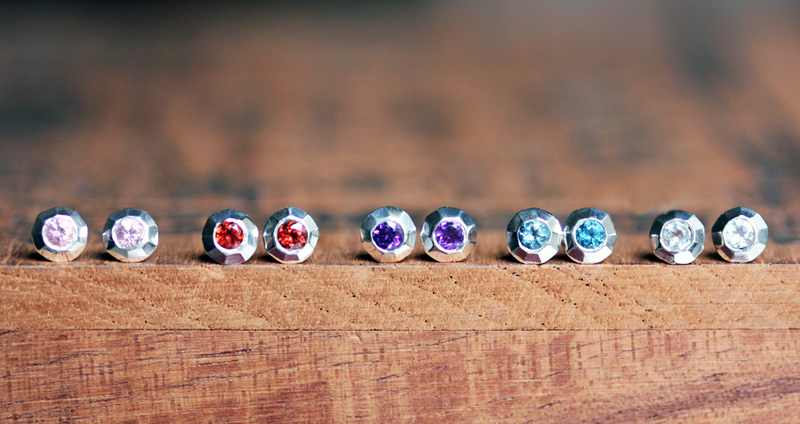 My favorite is sapphire--blue, pink, orange, green; it's beautiful and has a hardness of 9. (Diamonds are 10). I bought a stunning sapphire when my second son was born and made it into a ring so that I wouldn't eat it. It's so delicious. Like a fashion designer, you create collections. How many collections do you have? My collections come from my heart, which is hard to pin down to just one influence. I grew up in the country among dairy farms and cornfields. I can drive a tractor. But I also love cities and architecture and geometry (nerd). So I think it all goes into my creative blender and pours out in the collections you see in my shop: Wrought, Modern Rock, Raw, and Metropolis. Derivatives of the core design come from customer requests. I love making my own designs, but I also love the collaboration with my customers, I get a lot of satisfaction from that. Your concepts are particularly strong. How do your designs come to you? I'm a 3-dimensional thinker, so I'll take time to sit and imagine a design and turn it around in my head before I make a sketch. I want to make sure every angle will work first. That happens when I make time to sit and think, which isn't often. I usually have an idea that simmers in the back of my head for a while before I can make time to fully imagine it. And then even longer before I can make the model. I've had design inspiration while running on the treadmill, during dreams or while driving. If I'm open to it and make time to imagine, inspiration is always there. I do the same thing. I call it "steeping," like one lets tea steep. Do you sketch your designs or, like me, just start creating after letting ideas steep for a while? Oooh, I like the term "steeping." I've done it both ways, but the most successful for me is to sketch it out first. My jewelry is about dimensions, finger sizes, gemstone diameters, weight. So the best designs have been ones that I've at least roughly sketched out first so that everything is in balance. You describe your work as eco-friendly. How so? I work very hard to leave the smallest footprint I can. I use recycled boxes, recyclable mailers, and recycled metals. I also choose ethically-sourced gemstones whenever possible. I work mostly with U.S.-based companies. It's important to me to help my own economy even if it's more expensive. So sometimes I have to go the extra mile to research and ask questions, but it's worth it to me and it's important to my customers. Win-win. That's a great selling point. I know you create necklaces, earrings, and bracelets, but your rings really stand out. 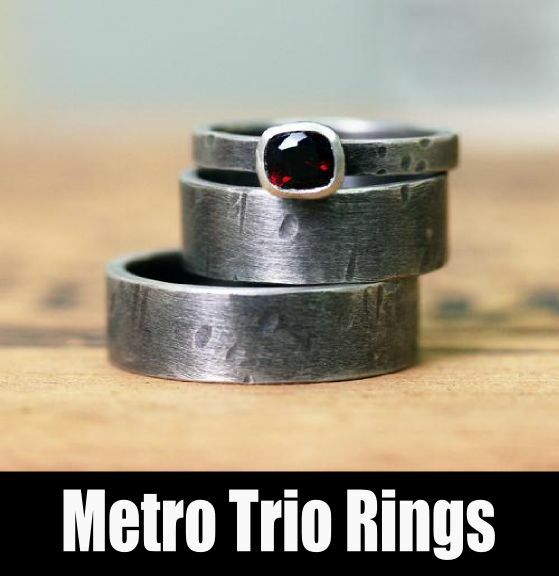 Do you prefer making rings? I personally love rings and would look like a crazy gypsy if I didn't have to work with my hands every day; every finger would have 2-3 rings on it. But I also like to wear earrings and necklaces since I don't have to take them off as often. I feel like my outfit isn't complete without earrings, a necklace and rings. Oh, and I love looking down at my wrist to see my silver and gold initial hearts that I made to remind me of my boys. So I love earrings, necklaces, rings and bracelets. Gypsy! I feel the same way. If I could keep up with them, I'd have at least 3 rings on each hand at all times. What is your biggest seller? My biggest seller is my Wrought wedding set. It's interesting because I've sold this to men who are buying it to propose with, or married women who are buying it as an alternative engagement ring set, and also single women who just want a cool gemstone ring without the matching band. It resonates with lots of people and that makes me extraordinarily happy. Do you sell at craft fairs? Last year I gave up doing craft fairs. It was really hard because I missed meeting my customers directly. But I realized that there was a disconnect between the lower-end work I sold at fairs and the higher-end work I sold online. 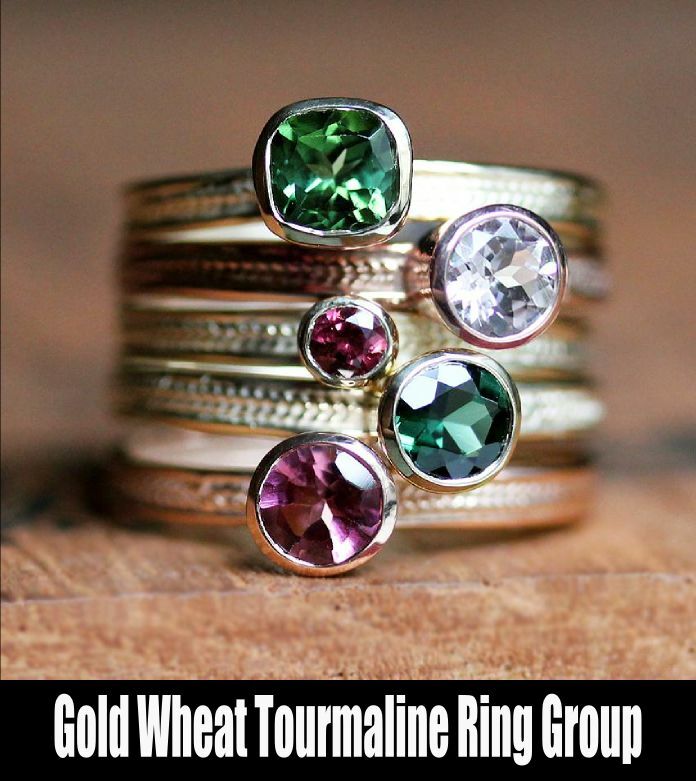 No one wants to pay $300 for a ring at a craft fair, but those are the kinds of pieces I love to make. So I gave it up fully last year and worked really hard on building my online sales. It was a leap and I was nervous it wouldn't work. But once my focus was solely on my online business, my sales doubled and more than made up for the income I got from fairs. I feel so much happier making this kind of jewelry. Plus, I get to spend weekends with my family now. That was another courageous move. You saw that something needed to change and you took a chance. Good for you! What about wholesale? Yes, but it's woefully neglected. I prefer to talk to people on Facebook. We have a lot of fun there! 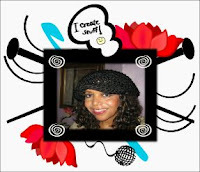 As you know, I visit your fan page often and share your designs with my fans. I prefer Facebook to a blog, too. This leads me to marketing. Marketing is always challenging. How do you approach marketing and advertising? Ugh, I'm the worst. marketer. ever. No, no, I think I am. Really. It's so hard, isn't it? I hate talking about myself; I worry that promoting my work will seem like I'm bragging. But I also know that if I don't put my work out there, no one will know it exists. So I try to do it in a nice, happy way. Marketing gurus always talk about knowing your customer. It seems you have figured that out. Can you describe one of your typical customers? It took me a long time to figure that out. My customer is a lot like me: non-traditional. They love colorful gemstones instead of diamonds, they don't need all their jewelry to be matchy-matchy, and they have strong opinions about the environment. So they love this wedding set because it combines all of those things. They'll buy the Wrought necklace usually in different color from their ring, or they'll pair it with some squared bands. My customers love modern, elegant jewelry, and that's what I strive for in each piece. Also, I'm a Gemini which means I have lots of different interests and personalities. I love modern, sleek, simple, edgy. But I also love country, flowery, girly-girl. And those are two very different customers. It's really hard because if I promote one of those looks, I lose the other customer, so I'm moving toward incorporating the two sides of me. It's a process. A smart friend of mine, Lenny of the Etsy shop Lenny Mud told me, "Your customer is you." And she's right. (Why is she always right?). As a craftsperson, I make what I like. So why wouldn't other wives/moms and edgyish/modernish/flowery/sentimental women like my work? Duh. My advice is: take a good look at yourself because you are your customer. I've never thought of it that way. That's kind of brilliant. Have you been able to join the "quit your day job" club? Is your business self-sustaining? Lucky you! Your hard work and dedication has paid off. Let's talk about the tricky issue of pricing. Just let it rip. There are formulas, but I like to think about 3 things: income tax, cost of goods, and profit. 1. Income tax: it will differ depending upon your tax bracket, but you still need to pay it, so it needs to be part of your formula. 2. Cost of goods: metal, gemstones, my labor, utilities/rent/supplies, packaging, shipping. I think a lot of people forget about income tax and actual profit. And you don't make vacations a financial afterthought, even if you haven't had one in a while. I adore your photos. You do your own photography, correct? Thank you so much. Yes, I do my own photography. Second to marketing, photography is my worst subject. It has taken me 5 years to get to the point where I don't hate my photos, which is directly related to my boost in sales. I am selling online, so my photos need to be impeccable. Once I stopped making excuses as to why I can't do it, I just tried hundreds of times until I got it right. Hundreds of times. I'm not even kidding. My hard drive is sagging under the weight of my mistakes. 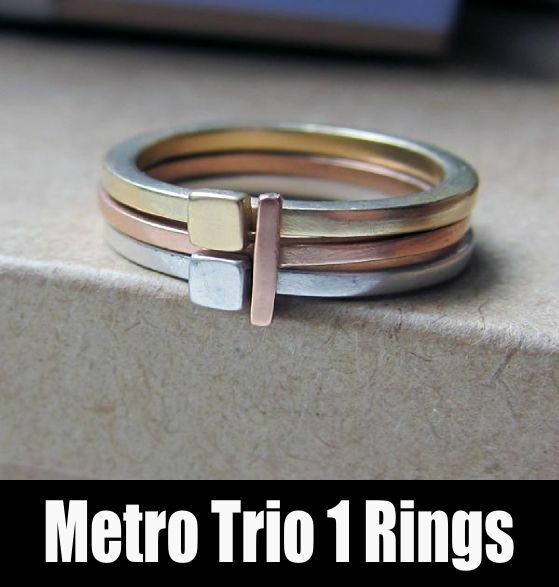 If something isn't selling, I re-take the photo until it looks as good as my best-selling ring set. You're right about it being a process. Where do you live? Do you have a dedicated studio? I live in Chelsea with 2 boys, my husband, and 2 cats. The space is small, but we keep it minimal so that we don't feel cramped. In February I moved my studio out of our bedroom into an office building a few blocks away. It was a big deal for me because whenever I'd dream of what success meant, it was to have my own studio space outside of the apartment. I still can't believe it. It's really helped me separate my work and home life; I had to get used to wearing shoes once I moved out. And there's no laundry or dishes to do during the day now; they patiently wait for me to get home. Isn't that nice of them? Yes, that's very nice of them. It's great you found a space so close to home. We've talked on occasion about our mutual vegetarianism. Has being a vegetarian affected your business and your aesthetic? How do you handle being the sole veggie in your family? I think being concerned for things outside my own bubble definitely seeps into my business. Being passionate about making my company as eco-friendly as I can is directly related to my own vegetarianism. I don't want to do harm to others if I can help it, so conserving resources is key to my business model. Being the solo veggie in my family is really hard. But I was forced to eat meat as a kid, so I don't want to do the reverse to my kids and force them to be vegetarians. They know I'm vegetarian, but it's not a big deal. I've been veg for 22 years so it's become just one part of who I am. Just like I don't expect them to become jewelers, you know? I've been vegetarian and mostly vegan for even longer. My family doesn't share my plant-based lifestyle, but they help me with my business in many ways. How does your family help you? Do your cats contribute? LOL! My cats couldn't be less enthusiastic about my work unless it has ice cream on it. But the rest of my family is incredibly supportive and I'm really blessed. My husband has a job with health insurance. He reminds me to look at my profit and loss every week. And he tells me when I've posted something non-Metalicious-related on Instagram usually via a snarky e-mail. My kids are also supportive of my work. They're still young and don't really know that most moms don't have their own businesses. I'm hoping that changes and it is definitely becoming more the norm thanks to Etsy. GO, MOMPRENEURS! I hope to continue to make handmade work for my customers. There's only so much business that I can handle as one person, and only so much that my family needs. I would love to work with a non-profit to make donations on behalf of my customers. I'd also like to increase my wholesale business so that I can hire other artisans. That would mean that I'd have to share my CD player and I'm just not there yet. Lastly, how has being part of the Etsy NY team helped you? Being an entrepreneur is lonely. The connections I've made with other artists here in New York has given me the ability to have the camaraderie of an office, except our water cooler happens to be an online Google group. another awesome interview! i love the in depth insight to teammates! Thanks to both of you for an inspiring and entertaining interview! 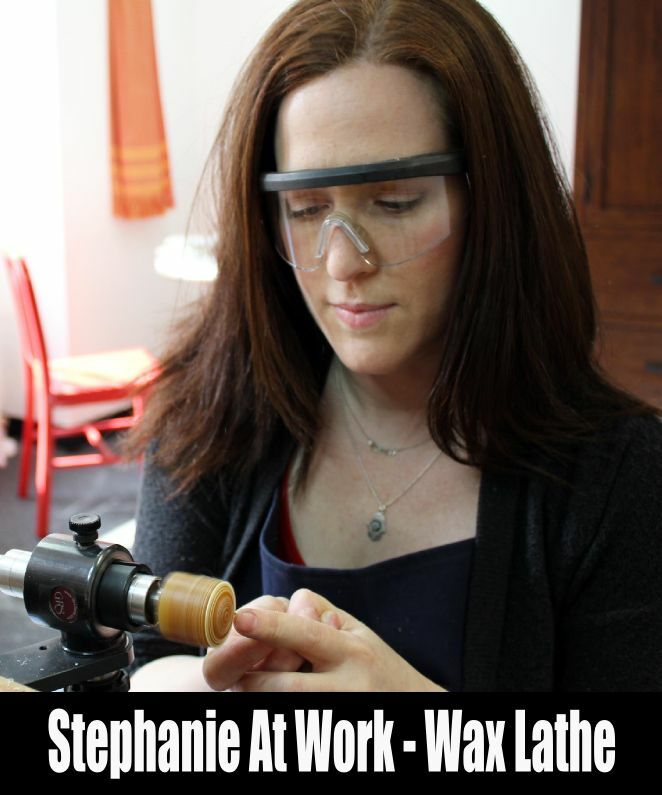 I've been a big fan of Stephanie's work since I first saw it on Etsy many years ago. It's always such a treat to get a glimpse into another artisan's studio and process. HUGE fan of Stephanie's designs! I purchased one of her bubble rings, lost it, cried a little, then had to order another one. Nice to learn how she got started! love, Stephanie!! and love this article!! This is so great! This is why the team is so amazing!!! Thanks for the great article about one of my favorite talented people! Wow! Great interview of a talented and amazing woman!